Tech in the Nordic region is an industry on the rise. Financial tech, or fintech, specifically accounts for more than 11% of the total capital invested in the area comprising Denmark, Norway, Finland and Sweden. As part of London Tech Week 2018, Northern Europe’s largest group dedicated to growing the tech start-up scene in Scandinavia, Tech Nordic Advocates, hosted young companies armed with pitches and investors armed with cash in a day of networking. 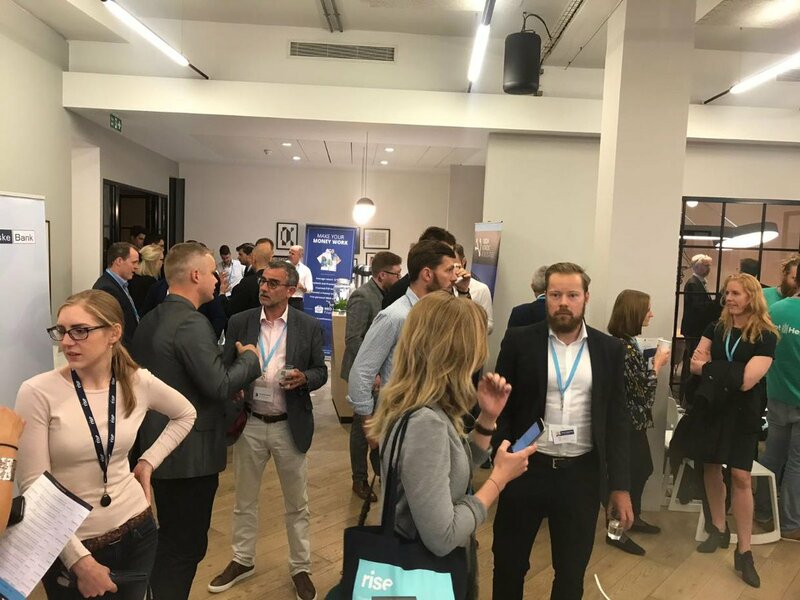 The event, The Best of Nordic & Baltic (Fin) Tech Summit, involved a raft of CEOs demonstrating their businesses and why they ought to be taken to the global market in quick-fire presentations. Here are five Nordic fintech firms you haven’t heard of but may soon. Compliance and regulation rules make it difficult for businesses to invest and trade internationally. It’s a problem that can be solved but doing so often proves a headache, believes Rowan Pillay. He thinks he might have a quicker solution with his business, which builds technology for asset management – or, more specifically, technology that accelerates fundraising. “We have products for start-ups and investors, but I’m here to talk about our white label product,” said Mr Pillay. “Our online service lets companies see where and what products they can distribute depending on the location, which removes a massive headache. “You can build portfolios and run comparative analysis – it’s all done in our back end so the customer doesn’t have to worry about anything. Edgefolio – which is not actively fundraising, but is seeking banking partners – and its team of 11 goes further than that by actively tracking users’ day-to-day activity and providing customised service. Mr Pillay believes that is its most attractive feature, adding: “The reason our clients trade with us is our behavioural data. The vision for Eucaps.com is to create a one-stop shop for trading and investing in the SME sector, according to CEO Henrik Wagenius. SMEs are a huge part of the European market, accounting for 90% of the continent’s companies, 70% of its employees and 60% of its earnings – but limitations on international investment are a hindrance to their continued growth. “Right now a Swedish company looking to invest in Sweden won’t really have any problems, but a German company wanting to do the same will encounter problems. “They’ll have to overcome various security measures and they’ll probably have to go through two or three banks. “We believe in creating a superior online experience and to that end we are offering investors and SMEs a transparent, single marketplace to trade – it’s for brokers, as well as end investors. “It’s one marketplace where you can access all companies in Europe and around the world. “We take all the existing exchanges and make them visible on the platform, which has full data on those companies for you to see. “You can login with LinkedIn, create a profile, and then you start trading. Eucaps.com only services companies trading in public marketplaces, so all the companies are vetted by the appropriate local financial authority. The product has been in development for three years and is now ready to go to market, with Mr Wagenius seeking 4.5m euros worth of investment for his business. After he moved from California to Copenhagen, Lokalist CEO and founder Tegan Spinner had a hard time buying and selling various second-hand items. “If you were looking to get rid of a wardrobe, say, sure you had all the major services but they just took too long,” he said. “And I didn’t really fancy doing a cash transaction, because if I was buying something that cost 500 euros, I don’t want to be walking around with that in my pocket – particularly when I don’t really know anything about who I’m going to meet. Mr Tegan’s website asks sellers to list an item for the least amount they would accept, but doesn’t show this figure to buyers. The buyers can see the item and are given three chances to bid a price that’s above the seller’s minimum. The first buyer that bids above the seller’s lowest price instantly wins the bid and pays the amount they guessed. “Our part in this is 25% of the difference between the seller’s minimum and what the winning buyer bid,” added Mr Tegan. Lokalist is seeking an investment of 275,000 euros. Masood Arai’s company Arantio offers what he refers to as “invisible payments”. Its Vola app provides payment integration via several different methods combined on a single platform to make the end consumer’s daily purchases that much easier. “We are in the business of trust – trust and money. Particularly if you are talking about financial transactions, it’s all about trust,” said Mr Arai. “We have our platform service and our front service – the platform service is what we’re seeking investment for, and it’s offered as Paas [Platform as a Service]. “For consumers, you can go out to eat and use our Vola app to pay for your meal with digital currency – you don’t need to wait for anything, you just pay through the app. “Then you can order a taxi using the same thing, or go out for drinks, or anything you want, really. Operating primarily in Finland, Arantio registered 200,000 virtual accounts last year totalling 1.5m transactions. “We are closing a deal with one of the biggest restaurant chains in Finland, and we’re projecting profits of 700,000 euros for 2018, and predict anything between 5.5m and 6m euros for 2020,” added Mr Arai. Arantio is seeking 5m euros of investment. Digital disintermediation – the use of technology to remove middle-men – is a major disrupting force amongst traditional industries, according to Float Lending CEO Cedric Notz. “It’s having such a huge impact because it lowers user costs and speeds processes,” he said. “For example, if you want to send money to America it takes about three days but with cryptocurrency it takes seconds. Float Lending is disintermediating the asset-based lending environment for SMEs. It acts as a digital marketplace, using artificial intelligence to automate time-intensive processes. Online set-up can take as little as five minutes and a business can have access to funding in a matter of hours. “We offer contract, subscription, and inventory financing, and the service will initially be a B2B platform,” added Mr Notz. “We are the only peer-to-peer asset lending business in the Nordics.